SAN DIEGO (KGTV) - Tyrone McClave discovered a passion for dance in 1971. Since then, he has performed on some of the biggest stages. Now, he is sharing that love of dance to a group of local seniors. “I could fly, I could really jump high,” said Tyrone McClave. McClave spent 20 years dancing in companies professionally. 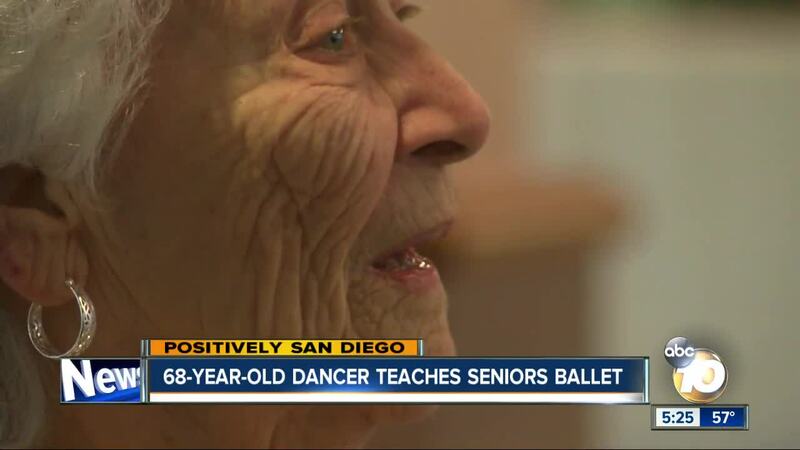 He is now 68 years old and retired, teaching dance to seniors at St Paul’s Senior Services in Bankers Hill. Some of the patients at St. Paul’s are there for memory loss; others need around-the-clock care. But when McClave teaches a dance class, the seniors get to escape. “It’s relaxing and its fun," said 91-year-old Marilyn Slater. Slater says, ever since the program started, she and her peers are happier. “They wave their hands to the music, they tap their toes and you know they are involved as much as they could,” said Slater. McClave now teaches six classes a week and covers everything from waltz to ballet. He also plays guitar so patients can sing along. He says his motivation is the chance to provide the seniors with a sense of youth while helping them stay active and healthy. “One person said it makes me feel good it makes me feel alive. I love hearing stuff like that." McClave said.